Books: The Cambridge History of the French Revolution (1904), The Young Napoleon (1905), Marie Antoinette (1909), The French Revolution (1911). Hilaire Belloc was a French-born British historian and writer, prolific in the first half of the 20th century. Joseph Hilaire Pierre Belloc was born in north-central France, days after the outbreak of the Franco-Prussian War. His English mother, Bessie Rayner Parkes, was a prominent women’s activist who married Louis Belloc, a French lawyer. Louis Belloc died in 1872 so Parkes and her infant son returned to England. 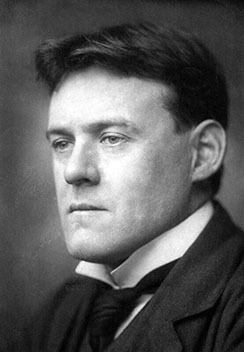 Hilaire Belloc was raised and educated in rural Sussex and Birmingham. After a term of service in the French military, he completed a first-class honours degree in history at Oxford. He married an American woman, Elodie Hogan, in 1896. The couple had five children before Hogan’s death in 1914. The grief-stricken Belloc never remarried, instead throwing himself into his writing. In 1906, Belloc stood as a Liberal candidate for the British Parliament, serving one term in the House of Commons as the Member for Salford South. 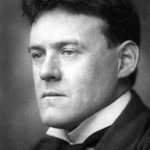 Belloc was a busy yet diverse writer, penning more than 150 books across several genres including economic theory, travelogues, poetry and children’s literature. He penned several books on the French Revolution, including a popular biography of Marie Antoinette and a 1911 history that for years served as a staple text in schools. Belloc was a devout Catholic and his personal religious values are evident in these works. Despite this, his perspectives of the revolution are primarily liberal and not dissimilar to 19th century historians like Jules Michelet. Belloc saw the French Revolution as inevitable, an upheaval needed to overturn the corrupt and ineffectual power structures of the Ancien Régime which “had become stiff with age”. He was a champion of Enlightenment ideas, particularly those of Rousseau, and considered the revolution an expression of the general will. Belloc did not consider Catholicism a cause of the revolution, nor did he believe that Catholicism was incompatible with the new regime. Instead, he believed the French Catholic church had been corrupted by royal and aristocratic influences, which had exploited the Church for their own purposes.